The first call of this functions requires to insert a module named "basTaskDialog" to a standard module. On every future call the wizard will automatically detect whether the module is available. 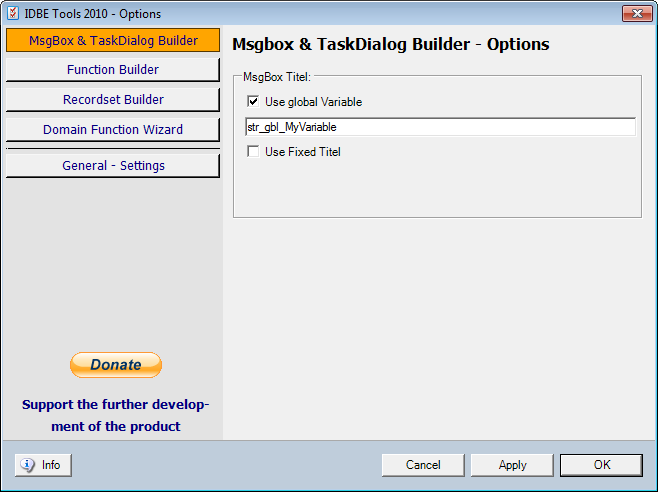 You can also use a string variable to set the TaskDialog / MsgBox Title. 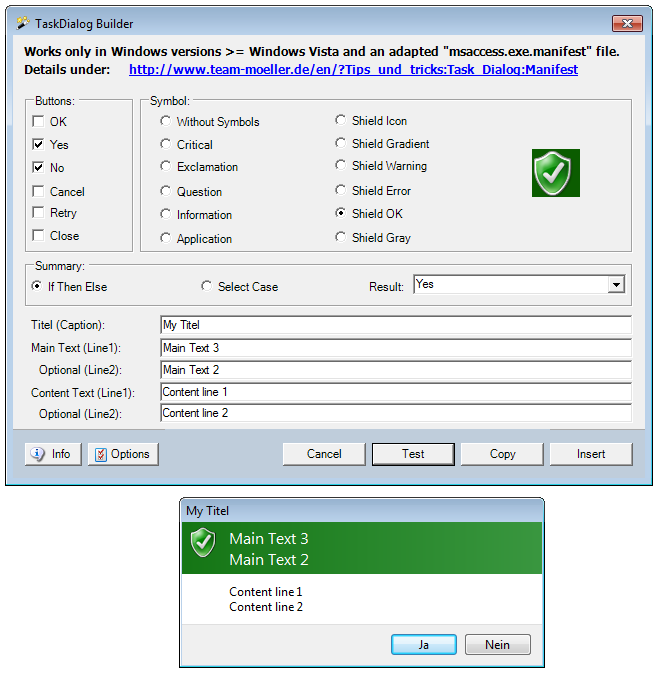 This variable can be set within the options.